Oil and water don’t mix, neither do water and alcohol. Many of us have heard of driving under the influence (“DUI”) but some have never heard of boating under the influence (“BUI”). This crime, like most alcohol related crimes, is committed on weekends and holidays where people having fun lose track of how much they had to drink. A police boat checks the party goers and that is where the fun stops. BUI is very similar to DUI in that different factors can turn a basic BUI into a more severely punished BUI. There is the basic crime of boating under the influence, boating under the influence that causes injury, damage, or death, or boating under the influence with a blood alcohol level over .15%. This is your basic no one was hurt or killed and under .15% boating while under the influence. Had a blood or breath-alcohol level of .08 or more grams of alcohol per 100 milliliters of blood or 210 liters of breath. For a first conviction, this crime is a misdemeanor which is punishable up to 6 months in jail and a $1,000 fine. The defendant is also to complete 50 hours of community service. The boat will also be impounded or immobilized for 10 days. A second conviction within 5 years is punishable with a minimum of 10 days in jail up to 9 months, a $2,000 fine, and the boat being impounded or immobilized for 30 days. This crime happens when an individual is convicted three or more times within a 10 year period. A third conviction within 10 years is a third-degree felony which is punishable up to 12 months in jail with a minimum of 30 days. There will be a fine of $2,000 up to $5,000. The boat will be immobilized or impounded for 90 days after the jail sentence. A fourth conviction is punishable up to 5 years in prison and a $2,000- $5,000 fine. Either of these felonies is a level 3 crime under the Florida Criminal Punishment Code. 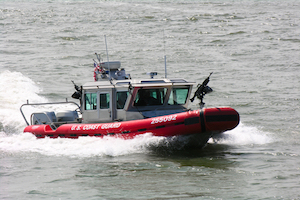 When a person operates a boat while under the influence, there is a possibility that they will crash and injure others. The punishment for this crime depends on who or what was damaged and to what extent. If person or property is damaged, the crime is a first-degree misdemeanor which is punishable up to 365 days in jail and a $1,000 fine. If serious bodily injury happens to a person, the crime is a third-degree felony punishable up to 5 years in prison and a $5,000 fine. This crime is ranked level 7 under the Florida Criminal Punishment Code. If anyone is killed, the crime is a second-degree felony ranked as a level 8 under the Florida Criminal Punishment Code and is punishable up to 15 years in prison and a $10,000 fine. If a person is killed and the defendant leaves the scene of the crash without rendering aid, the crime is a first-degree felony which is punishable up to 30 years in prison and a $10,000 fine. It is a level 9 crime. The enhancement refers to the punishment of the driver when the blood alcohol level is .15% or greater or a minor was on the boat while the person was boating under the influence. The first conviction results in a $1,000-$2,000 fine with up to 9 months in jail. A second conviction is a $2,000-$4,000 fine and up to 12 months in jail. Everyone convicted of any of these crimes will be required to undergo a substance abuse program. The Law Office of Roger P. Foley, P.A. A conviction for any of these crimes will have long lasting effects on a person’s life. It is important to find a competent attorney to handle these matters. Roger Foley has handled many alcohol related cases. The experience Roger brings to the table is invaluable. Call our law offices today to schedule a free consultation to meet with one of our attorneys to discuss your case and any questions you might have. We want to know your version of the story. We will then develop a specialized defense strategy unique for your case. We will take depositions of the police officers involved and any witnesses. From this evidence, we will negotiate with the prosecutor to have your case dismissed. We can’t get started till we hear from you. Call today so we can get to work helping you!